With the Costa del Sol being situated in the south of Spain, it is close enough to the UK for travellers to enjoy almost any type of holiday. As Spain is only a short flight from London, it is a perfect destination for either a weekend break or a full-length family holiday, with warm weather all year long. Costa del Sol has warm summers and mild, rainy winters, enjoying over 320 days of sun per year. Temperatures from November to April average around 15°C, and increase to 29°C in the summer months. Rainfall can vary, with the wettest month of November getting 90mm, and July receiving around 1mm. Rainfall tends to occur in each month, but is highest in November to January. If you find yourself in the Costa del Sol, the Benalmadena Cable Car is a must. It is next to the Tivoli World amusement park and goes to the summit of Monte Calamorro, from which you can see views over all of Costa del Sol, Sierra Nevada and, on days with good visibility, Gibraltar and even the coast of North Africa. Each cable car can sit four people and the journey to the summit is only a quarter of an hour. There is also a café at the top with a terrace that overlooks the coast, and the ticket price includes donkey rides, Spanish horse riding exhibitions and birds of prey exhibitions. Selwo Marina is another great place for tourists, with its environment created for visitors to experience South American marine life. On show are dolphins and sea lions, complete with pools and walkways to see the animals from different views, including above and below the water level. The Ice Island showcases extensive species of penguins, while Amazonia displays the tropical jungle. Selwo Marina also features a children's playground and a touch and explore pool. The Tivoli World amusement park is Costa del Sol's largest amusement park and features rides and shows, and a dedicated area especially for younger children. The Selwo Adventure Park is a nature park, adventure park and safari, and is unique in Europe. Its wilderness boasts over 2,000 animals including elephants, tigers and lions, all living in semi-freedom and all can be explored on foot on the overhead walkways or in Jeeps. The park also allows visitors to ride camels, try archery and even slide on a flying fox across a lake. Spain as a whole and Costa del Sol are well known for beaches. Malapesquera Beach has been adapted for disabled people and is recommended for families. It is situated in an urban area and has a cafeteria, restaurant and parking area. The beach also hosts sporting and entertainment events throughout the year, as well as water sport activities each day in the summer. Algarrobo Beach is also recommended for families, and is situated on the coast about 3.5km from the town centre. If you are looking to relax and unwind, this is the place to be, with beautiful azure waters and a restaurant from which to watch the water as you dine. 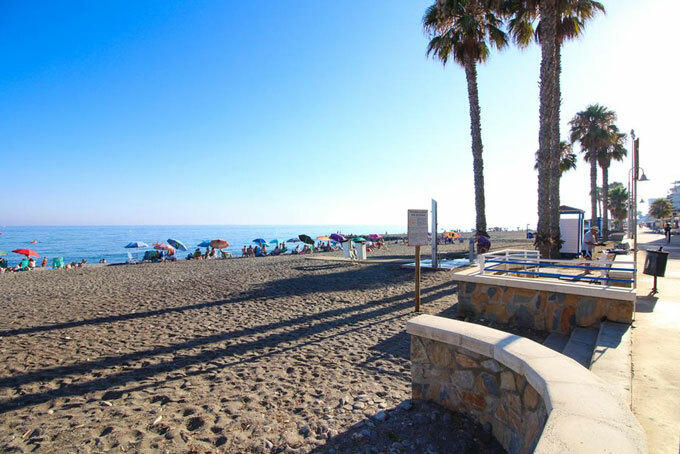 One of the most splendid beaches is Cortijo Blanco Beach in Marbella. It has an extensive stretch of sand that is away from the apartment buildings on the street. As a coastal beach boasts the backdrop of the Sierra Bermeja. Costa del Sol is famous for its nightlife, and any tourist looking for a night out will not be disappointed. The Golden Mile starts in Marbella and goes to Puerto Banus, and comprises most of the nightlife hotspots. Bursting with restaurants, bars, pubs, casinos, cinemas and nightclubs, there is something for everyone. Old Joys Pub is a great pub with a piano and a singer to provide entertainment of an evening. O Grady's is an Irish bar complete with its own DJ, while Salduba is an excellent pub for people watching with a drink. There are numerous clubs, each with its own atmosphere and style of music. El Cubanito specialises in Latin-American, and the Mambo Club plays salsa. Scream and Oh Marbella have well-known DJs, and La Comedia and Olivia Valere is where the celebrities tend to hang out. La Vinuela Hotel is a four-star hotel in Malaga. Located in the foothills of the Sierra Tejada and Alhama Natural Park and only 15 minutes away from Torre del Mar beaches, it is perfectly situated. The hotel has air conditioning, a bar, library, café, garden, restaurant, banquet hall, meeting room, games room, social room and accepts pets. With individual rooms starting at just 75 Euros per night including breakfast, it's an affordable hotel offering great value for money. For the best in luxury, the Kempinski Hotel Bahia is a lavish hotel sitting amongst gardens, a sandy beach and boasts stunning views of the Mediterranean Sea and Gibraltar, as well as the African coastline. There are 132 guestrooms and 15 suites, and a selection of restaurants and bars. There is also the Kempinski Spa, facilities for children and a swimming pool. Guests are able to rent bicycles and cars, or can park their own vehicles for free. The hotel's facilities include a disco, a gym, spa, indoor and outdoor swimming pool, a sauna, tennis court and entertainment programme, as well as facilities especially for children. In addition, there is a playground, medical service, banquet hall, air conditioning, money exchange service and a communal garden.